There is so much to be done and so many depending on us. As we continue to pay down the construction costs of the NHA Compound (balance due $6,000) in Kabala, we must also keep up with our other responsibilities. We continue to pray for compassionate folks who will commit to monthly support of Nazareth House. 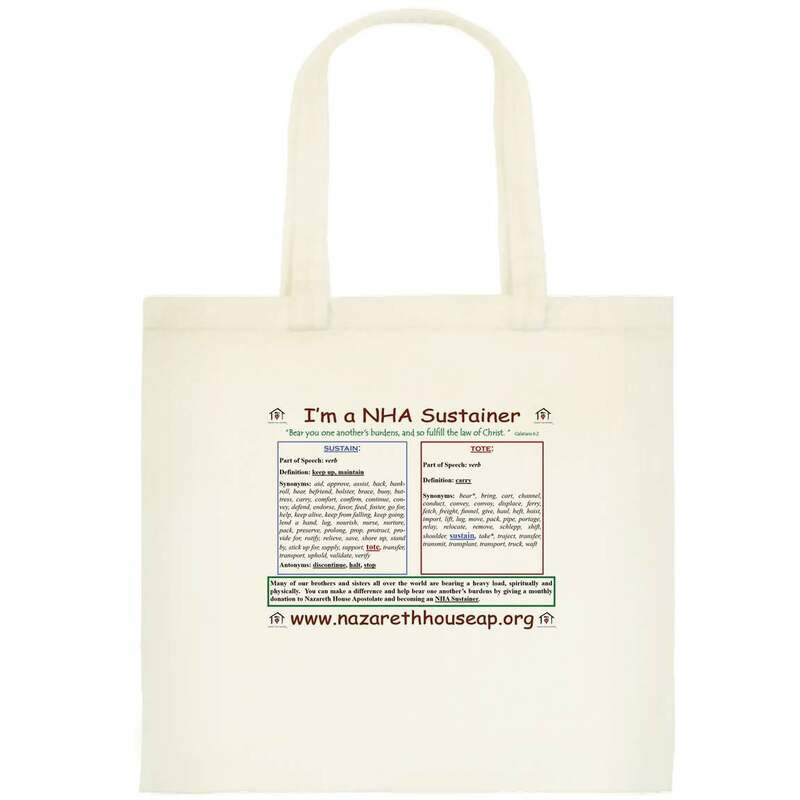 For as little as $25 per month you can make a huge difference in many lives and enable the work of NHA to continue and grow. Please consider doing so today. 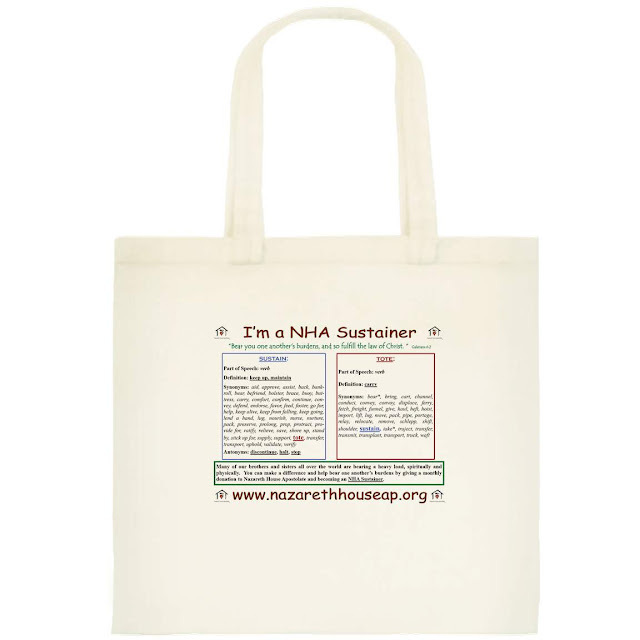 The first twenty people that sign up to be a NHA Monthly Sustainer -giving regular monthly donations to provide for the work of NHA, will receive this tote bag. St. Simeon Skete (prayer) is the heart of Nazareth House Apostolate from which all that we do begins, circulates and is pumped out. Nazareth House Kabala is our field house in which the mission work is accomplished. Together the two exemplify the teamwork we have in our supporters and the beneficiaries - working together with great love, to do the work of Nazareth House. The teamwork of Nazareth House is amazing. Last week as we ended the day at the Chapel at St. Simeon Skete with the service of Compline, we noticed the branches had formed together a syntactic structure in strings of leaves to spell out the letters: N. H. for Nazareth House. We had been considering cutting the tree down as it seemed to be dying. As we got a closer look, we noticed that the letters were made up of new growth in the midst of the dying leaves and branches. and also in Sierra Leone. and we hope to raise the money for St. Simeon Skete very soon as the buildings are wood and must be sealed and protected before Winter sets in. The wood is a past due a treatment and we don't want further deterioration to set in. Our enrollment is growing and we have ran out of room at the NHA School. This year we are adding room dividers in the old classrooms to generate additional classrooms.